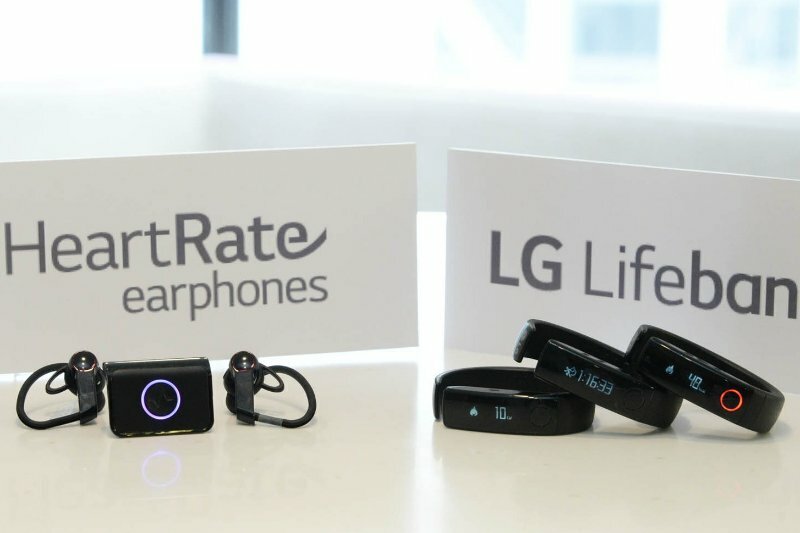 LG announced yesterday that it will launch its Lifeband Touch health tracker and HeartRate earphones in the US on May 18th. The South Korean company first unveiled these devices at CES earlier this year. The Lifeband Touch is equipped with a 0.9-inch OLED display, Bluetooth 4.0 connectivity, and a 90mAh battery. The device, which has a built-in accelerometer that tracks your activity, can display call and text notifications, control music on your smartphone, and silence calls. The health tracker, however, does not support third-party app notifications. It is compatible with iOS 6 and iOS 7 for iPhone and iPod touch; Android 4.3 and 4.4; Android 4.2 for LG G2 and Galaxy S4 only. According to the company, when paired with LG’s fitness App, the Lifeband Touch will provide a brief summary of the user’s workout sessions and a detailed breakdown of personal goals. It is also compatible with popular third-party fitness apps like RunKeeper and MapMyFitness. Battery life is reportedly good for around two to three days when connected to any phone via Bluetooth. LG is also preparing to launch its HeartRate earphones loaded with "PerformTek" sensors that collect data about your heart rate and oxygen consumption by measuring blood flow signals in your ears. Although they can be used with a smartphone via Bluetooth, the company prefers that you use them with the Lifeband Touch instead. It features Bluetooth 3.0 and a 200mAh battery. The Lifeband Touch will set you back by $149.99, while the earbuds are priced even higher at $179. Both will be available exclusively for a month at select Best Buy stores.